Marketing & Privacy: Can Lead Lists be Generated Without Being Intrusive? Email and direct marketing remain the most reliable and effective means of reaching targeted prospects, leads, and customers. However, building lists and launching campaigns have a darker side: privacy concerns and consumer pushback. Consumers are leery about giving their contact information up due to concerns about spam, telemarketing calls, and privacy. In addition, some worry about be added to lists that could potentially be resold to other marketers. As the volume of marketing emails, phone calls, and mailers increases, it’s a natural reaction for consumers to push back. In a crowded market with ad-weary consumers, marketers must balance their need to communicate with consumers’ privacy concerns. When approached properly, it becomes possible to build an effective list without alienating subscribers. 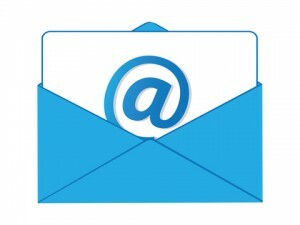 Email marketing is the most reliable and effective tool for marketers today with an ROI of $44 per dollar spent. According to the 2012 DMA Response Rate Report published by the Direct Marketers Association, email has a much higher ROI than direct mail, though its response rate is lower. The higher ROI is due to lower campaign costs. Telemarketing, which as the highest response rate, has the highest costs. A multichannel approach that blends email, direct mail, and telemarketing is an effective way to generate sales, boost response rates, and get the most out of your marketing budget (Source: Telemarketing Sales Lead Lists From ProMarketing Leads). However, nothing happens until you have a list. Email Marketing Earns $44 ROI per dollar spent! While consumers have flocked to social networks where they readily share personal information with the world at large, privacy is still a concern. A recent Euro RSCG survey of over 7,200 adults from across the globe revealed that 55 percent of the respondents are concerned about technology robbing people of their privacy. 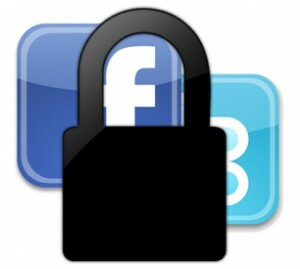 Over 60 percent agreed that people share too much online and that we should be more private. Social media has become a treasure trove for marketers. For example, Facebook allows advertisers to precisely target their ads based on information stored in user profiles and interests they’ve expressed. If you want your ad to be viewed only by 18-24 year-old-males who own dogs, are interested in gun rights, listen to AC/DC, and live in the 90210 ZIP code, you can do exactly that. However, there’s a fine line between targeted advertising and intrusion, and marketers are smart to recognize that line. Another concern involves location-based services broadcasting a user’s whereabouts without the user’s knowledge or permission. The implications of using location-based services should be clear so that users are aware that their locations may be tweeted or posted to Facebook whenever they check-in or activate a location-based service. Single sign-on access to websites is a handy tool for users to use their Facebook credentials to sign into various websites and apps. However, it’s often unclear how information is shared between these services. Many users simply click through the various prompts, approving the service to access their profiles and contact lists without thinking twice about the privacy implications. Traditional Web browsing has there own set of privacy concerns. Cookies have long been used to track Web browsing histories in order to display relevant ads. For example, users who visit cooking sites may see ads elsewhere for kitchen gadgets or those who visit the IRS’s website may see ads for tax software. By its nature, direct marketing is intrusive. In order to satisfy a consumer’s needs, a marketer must have an in-depth understanding of that consumer – or consumers like that person. Though inherently intrusive, marketing strategies and best practices exist that balance the needs of the marketer with a greater respect for privacy. People like to buy from people they know, so one of the first steps in building a list is to start with people you already know. Not only will your personal contacts be more likely to be receptive to your messages than complete strangers due to your existing relationship, they’ll likely be receptive to referring others to you. You likely know more people than you realize including family, friends, neighbors, former co-workers, college alumni, teammates, and even your child’s schoolteachers. Your existing customers should absolutely be added to your list. Not only have you built trust through your established relationship, the fact remains that it’s much cheaper to retain an existing customer than it is to acquire a new one. Because you have actual data on your existing customers, you have the opportunity to fine-tune your list and offers based on purchase history. For example, if you manage a department store, customers who have purchased expensive cosmetics may be interested in perfume while customers who have purchased diapers would likely be receptive to special deals on baby food or nursery items. 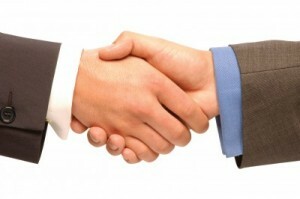 Networking and meeting new people are the next steps. Again, you’ll be building relationships while building your list. Personal interactions play a key role in this process. Another strategy involves “warm” prospecting. This is where you read business articles, press releases, and other news to find prospects that are a good fit for your product or service. From there, find something you have in common, which can turn a cold call or email into a warmer one. The Internet is another source of leads. However, lead generation is an art form requiring both technology and expertise. It’s not a simple matter of putting up a “subscribe now” form. You must drive targeted traffic to that form and compel prospects to hand over their personal information as well as confirm their desire to receive information from you. Because consumers are leery about being contacted with unwanted sales pitches, your opt-in form and any related incentive must be extremely compelling in order to be effective. Assuming that you have the traffic and a compelling offer, the next challenge involves the type and amount of information you request. For example, do you need to know the prospect’s company, job title, industry, and annual revenues in order to segment or qualify the prospect? The more information you request, the more intrusive your opt-in form becomes. Not only will it feel intrusive, it will look like too much work to fill out. Both effects can prompt the prospect to move on without opting in. Fortunately, data is readily obtainable from external sources. For example, ProMarketing Leads, a list broker, incorporates technologies into its lead generation forms that pull in additional data (such as company revenues, employee counts, and industry statistics) from external sources. Thus, prospects are not required to provide every single detail needed by the marketer. In fact, many businesses turn to list brokers rather than attempting online lead generation on their own. This can be very effective, especially when the leads have been generated in a non-invasive manner and boundaries are respected. No matter how your list originates, successful marketing requires an emphasis on “consumer-pull” rather than “consumer-push.” This means sending messages that will attract visits and re-visits by serious prospects. In other words, offers that will pull consumers in, engage them, and position your brand as the solution to their problems. Spam, unwanted phone calls, hidden cookies, long opt-in forms (or worse, policies that automatically subscribe users unless they opt-out), and other intrusive practices have the potential to alienate your prospects. Wouldn’t you rather generate a lead list based on purchase history, company size, or other readily obtainable data? Doing so much allows you to create effective marketing campaigns without the intrusive components that turn consumers off. ProMarketing Leads specializes in building and managing lists used in direct marketing campaigns including direct mailing lists and email marketing lists. Whether you’re looking for a targeted list of consumers or B2B customers, you can count on ProMarketing Leads for the highest quality leads and fresh, accurate information. Contact ProMarketing Leads today to learn more.